The new GPAL Series of precision, long stroke grippers is designed to significantly increase the payload capability of automation systems by reducing the weight of the grippers. Because grippers are part of the payload robot or fixed automation systems, a gripper’s mass is critical to the cost and efficiency of the system. The new GPAL Series offers the highest Force-to-Mass ratio on the market by employing modern manufacturing techniques and selecting materials and treatments that reduce mass. “The Space Age started in 1957 with the launch of the USSR’s Sputnik. While tool steel is durable we have had 50 years to understand how to use lighter and stronger materials to get a job done. 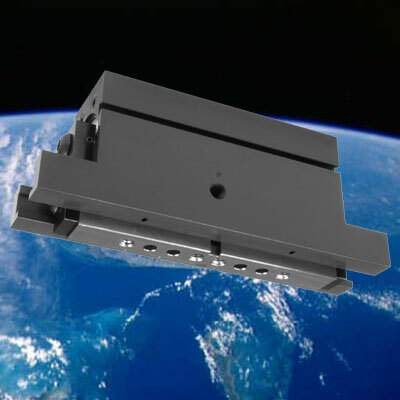 Launching payloads into space is directly analogous to moving payloads with automation system here on earth. We can’t afford the inefficiency of using 1940 materials to build our automation systems. 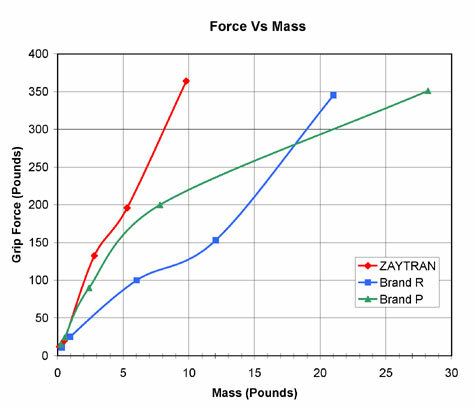 ZAYTRAN has advanced the gripper market into the new century with the new GPAL Series,” said Ted Zajac, Jr., President of ZAYTRAN, Inc..
An accompanying chart shows the Grip Force (from each jaw) to Mass ratio of the new GPAL Series of parallel Grippers and those of the competition (based on catalog information). Various aluminum alloys were employed with custom tempering and heat treatments to reduce mass. In all cases the new materials exceeded the durability of the classic materials in life tests. In addition the design was refined to reduce the number of steel fasteners utilized by reducing parts count with current CNC tooling. Many automation systems are created in order to remove humans from harsh environments. This reality is also addressed by the GPAL Series via a purge system. A third port (open, close, and purge) is plumbed to the bearing surface of each slide. This permits positive air pressure of about 1/2 line pressure to be applied. Debris that would normally collect and "clog" the gripper is blown away. Lean and flexible manufacturing are watch words of today’s manufacturing engineers. The new GPAL series supports these concepts by offering the longest strokes in the market. This permits a system to handle an extreme range of part size without changing jaws or other tooling. © Copyright 1996 through 2007 ZAYTRAN, Inc All Rights Reserved.